Who are the millennials? According to The Wall Street Journal, they are “a group of people who are building major companies, altering the way we work and live and challenging long-held notions of family and society.” To define them in a more simplistically, they are people born anytime between 1981 and 1997. Today, millennials are the major purchase influencers for consumer trends including food consumption. They are way more evolved in their understanding of food health than their previous generations. Consequently, their focus is on food that is healthy and delivers new flavours. Now that millennials are starting families and becoming parents, this mindset is trickling into their food-related decision making for their kids as well. About 1 in 4 millennials already have children, are influencing what their families eat and are setting ground rules for eating patterns that will govern the lifestyle of their upcoming generations. Even though parent partnerships today are way more balanced as compared to previous times, yet moms continue to be responsible for all-things-food in the family. Mothers today look up to the Internet as their key source of information while valuing personal recommendations. The macro trend Momsourcing is the sweet spot that is providing millennial mothers the information that they can rely on – this refers to mom-created online forums acting as one-stop-shops for personal experiences and tips from other trusted mothers. For millennial mothers, the drivers that trigger their food purchases are sustainable and locally grown products. Sustainable diets continue to gain popularity amongst them, resulting in a shift of their focus from less-calorie food towards the source of their food. Locally grown food is preferred by the millennial moms not just because it reflects their personality but also because it stems from an altruistic desire to help the local businesses and the local economy. Their desire for convenience and variety plays a significant role in their shopping patterns as well. An important factor impacting the food industry right now is the increased number of millennial moms at work. These millennial mothers tend to include more fruits and vegetables in their family diet plans but their busy schedules make this activity a chore rather than something enjoyable. 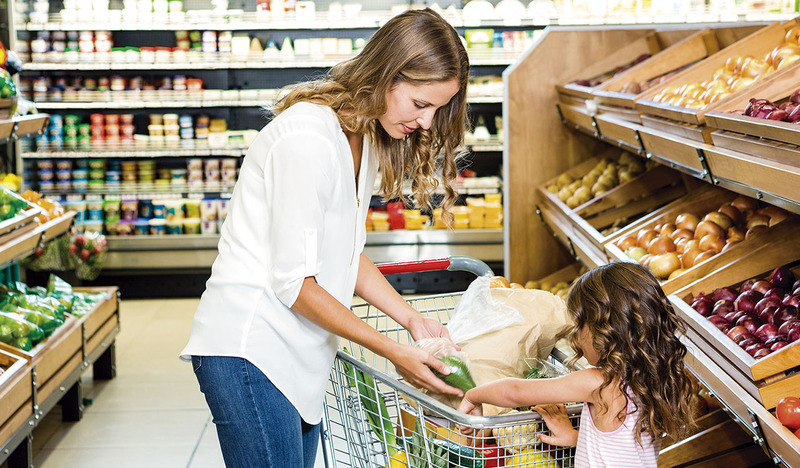 Food brands should tap into this requirement of fast-paced moms for healthy food options coupled with convenience. It is an excellent opportunity to offer single serving, pre-cut fruits and vegetables that are ready to be packed into children’s lunch boxes. As all moms, millennial women are busy persons looking to provide healthy and convenient meals for her family. For brands, developing partnerships with popular mom bloggers would be a good way to get access to the headspace of this coveted demographic group. More and more millennials are becoming mothers every day and the sure-fire way for brands to succeed with them is to partake in this steady transformation of the food market (amongst others) lead by the millennials.